FIN-MECT GC is USP FCC KOSHER certified with 99.80% purity. Glycerin is an effective humectants and moisturizer attracting water to the intercellular space of the skin, protects the lipids of skin cells hydrates and provides a skin barrier, allows topical agents to go on very smoothly. It is a good solvent for various water-insoluble ingredients, effective emollient and lubricant properties. It is useful in all kinds of skin care products, hair care products, color cosmetics, soap (glycerin soap), mouthwashes and toothpaste. In food and beverage, it serves as humectants, solvent, and sweetener; solvent for flavors and food coloring. 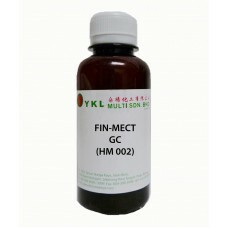 FIN-MECT GC appears as clear and colorless viscous liquid. Add it to the aqueous solution of the formulations.